It is a simple mantra that has kept Penticton’s Breezy Johnson going all these years, right up to her 100th birthday. 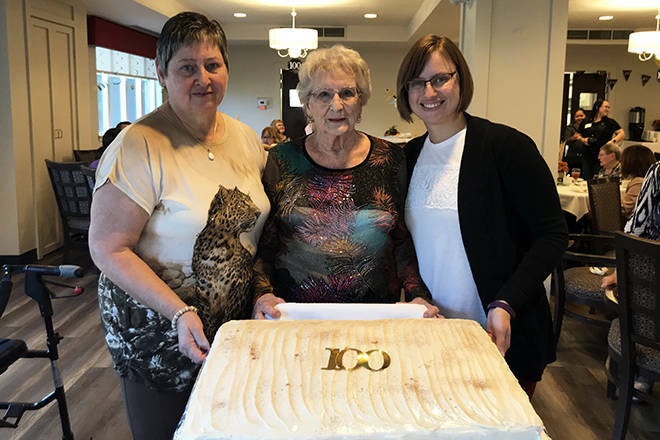 Johnson is a resident of the Concorde Retirement Residence and on Oct. 21 she celebrated her 100th birthday with her family and friends. She reflected on her life this past century.